You need to plan your work and work your plan and crowdfunding campaigns are no exception to this rule. Look at it this way, you’re attempting to convince total strangers to invest in your project. Some of the people who fund your project may very well be friends or family members but a large portion of pledges will come from investors you’ve never met before. This is one of the many reasons why you really need to prepare your campaign long in advance. The last thing you want to do is go in blind and you really need to think your pitch through from all angles and from start to finish before taking that first step. Having an innovative new idea is only one piece of the puzzle. Not only do you want your idea to come to life but you want your new startup launch to become a long lasting success. Thus the reason that realistically planning the long term goals for your small business, company or service is essential. Obviously finances are a big part of what fuels a company and either keeps it going or not. Managing your finances is just as important as raising capital through a crowdfunding site. 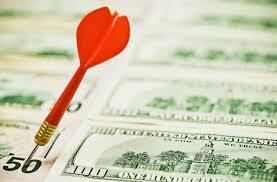 Have you asked yourself how you plan to execute certain types of spending? Where will your revenue go once it’s generated? Those are just a couple of the many questions 9 out of 10 investors will want answers to before they whip open their wallets and you need to have these types of answers well in advance in order for your startup idea to be taken seriously. Some people get stumped at this early stage in the game but that’s why there are companies like the Funding Roadmap out there to simplify the whole process and help you get started. 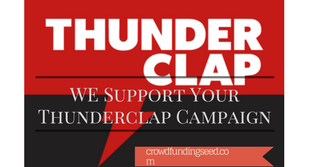 Your story could easily make or break your crowdfunding campaign so it needs to be a good one. The key here is to truthfully explain your crowdfunding campaign and what it’s all about in the most engaging way possible. You don’t necessarily need to be a novelist or marketing expert to achieve this, you just need to be knowledgeable and passionate about your idea and know the purpose of it inside and out. Make your story captivating and explain to people why they should consider investing in your idea over the thousands of other new ideas that are constantly out there each day. Why does your creative idea stand out above all the rest? 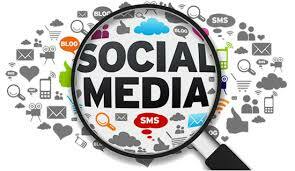 Everyone is using social media as a marketing tool these days, this has been the case for several years now. Having a well thought out social marketing campaign prepared in advance is a great way to create and maintain buzz around your product or idea. If you’ve never used this type of marketing strategy before it’s really a lot easier than you may think. For instance, it literally takes less than a minute to plug a link on Twitter, Facebook and Google+ and it’s not like you have to post an ad on trees all throughout your town or city to get the word out. 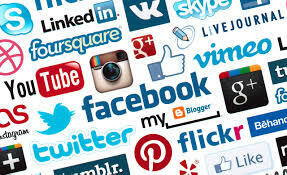 Writing catchy and effective text and key phrases to draw attention can require a certain level of creativity, but if this is not exactly your forte there are social media marketing services available for small business too. Frequently stay on top of your campaign, check the status often and never leave people hanging when they ask you questions. No matter how simple a question may seem, it’s critical that you treat all potential investors equally and with honesty, courtesy & respect. Certain questions may sound silly to you but to someone else having the answer could determine whether or not they decide to fund you. Also, be prompt rather than tardy. Obviously you can’t be glued to your computer 24/7 but the quicker you respond, the more you promote your campaign and the more actively involved you are the higher your chances of successfully reaching your desired funding amount sooner (if at all) will be. 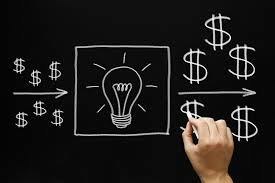 Explain to potential investors the types of rewards and incentives they can expect by funding your project. Let them know that their contributions are well appreciated and provide them with as many reasons as possible to invest in your idea. 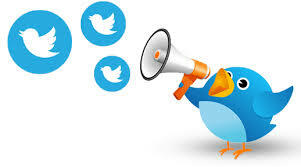 Having an informative, educational and entertaining video is a great way to help your crowdfunding campaign go viral. Using free services such as Vimeo and YouTube for example you can leverage the power of video marketing and take your campaign to the next level. Professional and engaging videos are a great way to express what your startup company is all about in a way that plain text on a screen could never do. Creating a stunning video beforehand is also a way to show investors that you have good initiative and well planned execution. Anything you can do to prove and convince investors that their money won’t go to waste is a good thing. If you took the time to make a quality video to promote your product this will reflect positively on your overall campaign. Let’s face it, although still in their infancy, crowdfunding sites are popping up out of the woodwork left, right and center these days. It’s no longer Kickstarter alone running the show. This means that the amount of people starting new crowdfunding campaigns is rapidly increasing. In other words, to stand out above the rest the more unique and creative you are the better your chances will be of getting noticed. More exposure equals more potential pledges. 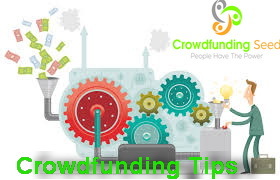 As mentioned above, there are numerous different crowdfunding sites out there all across the globe now and the number is constantly rising. This is why it’s important to do your homework and select the right one just for you and your particular project. Some of them are simply general crowdfunding sites geared towards all types of categories while others are geared towards specific types of campaigns for things like hobbyists, artists, film makers, musicians, game developers, app developers and the list goes on. Don’t waste your time & effort creating a good pitch or campaign unless you fully know and sincerely understand your target audience. Be sure to do good research on this subject as it really is important. 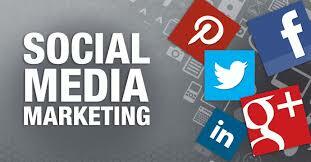 Being able to relate to your target audience is not only a plus but also quite a necessity.